A classic action-filled John Wayne western is set into motion with a spectacular robbery of a Union pay train by Confederate guerrillas. 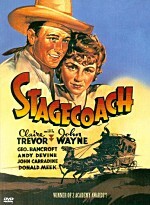 The train's colonel (Wayne) jails the enemy leaders but the three men later become friends when the war ends. Together they seek the Union traitors responsible for a string of Confederate train robberies, a mission that culminates in a rousing shoot-em up finale. 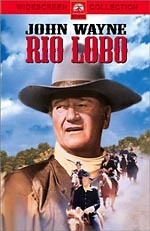 Rio Lobo was the fifth collaboration over a 22-year period between John Wayne and the legendary director Howard Hawks. By the time 1970’s Rio Lobo hit theaters (director Howard Hanks’s last feature and his fifth with John Wayne), Wayne’s persona was starting to become worn out and tired with many viewers and the Western genre was starting to fade into the silver screen background. However, I’m not one of the aforementioned “many viewers” and as I see it, no matter how many John Wayne movies you’ve seen or how many times he’s essentially played the same character over and over, there’s just something nostalgic about watching “The Duke” work. While Rio Lobo isn’t considered one of Wayne’s best – and more than likely considered middle-tier in mot circles – it’s still a treat and a pleasure to see one of the greatest American actors of all-time, John Wayne, do his thing in almost any film. The film deals with the spectacular robbery of a Union Army “pay train” that is hijacked by a band of Confederate soldiers. When a protégé of Union Colonel Cord McNally (John Wayne) is killed in the daring robbery, McNally vows to capture the men responsible. However, McNally is the one who ends up getting captured. 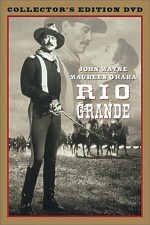 However, after spending some time with his captors, McNally learns to respect them as soldiers and he holds no ill will towards the Confederates – Pierre Cordona (Jorge Rivero) and Tuscarora Phillips (Christopher Mitchum). Although McNally comes to realize that the men were just doing their job as soldiers, he turns the tables on them and sets them up to be captured by the Union just as the Civil War happens to be winding down. As the War officially comes to an end, McNally approaches the duo of Cordona and Tuscarora, as he knows that they couldn’t have pulled off the job without some sort of insider information from someone in the ranks of the Union Army. McNally meets Cordona and Tuscarora over drinks and while they admit they paid off some Union soldiers to tell them about the shipment, they honestly can’t recall who they were. McNally tells them where he can be reached after the War in case they ever come across the treasonous soldier and the three part ways. Fast forward a year or so later and McNally runs across one of his former soldiers now serving as a sheriff in Blackthorne, Texas. As the two are catching up with each other, a beautiful young woman, Shasta Delaney (Jennifer O’Neill), shows up and says she wants to report a murder in the neighboring town of Rio Lobo that was performed by a deputy in the town. The sheriff says that he cannot help the young lady, as Rio Lobo is out of his jurisdiction. Soon thereafter, four deputies from the town of Rio Lobo – including the one that supposedly performed the murder - show up in Blackthorne and attempt to take Miss Delaney back to Rio Lobo at gunpoint. This doesn’t sit too well with the sheriff - or McNally – and a shootout ensues that ends with the four deputies from Rio Lobo being shot dead and Cordona showing up out of the blue to help finish them off. The chain of events peaks McNally’s interests, as he seems to think that there’s more than meets the eye in Rio Lobo. McNally, as well as Cordona and Delaney head out to Rio Lobo to see what’s amiss. When they arrive in Rio Lobo, they find the town literally held hostage by a sadistic sheriff named Hendricks (Mike Henry) and a wealthy landowner named Ketcham (Victor French). Ketcham showed up in Rio Lobo after the War ended and hired a bunch of outlaws and gunslingers to help protect his interests and in turn, started muscling in on the other landowners to force them to sell him their property as well. 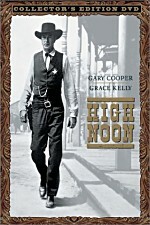 While in town, McNally and crew also hook back up with old friend Tuscarora Phillips and they meet his father (Jack Elam), who just so happens to be a rancher in Rio Lobo that has been threatened by Hendricks and Ketcham. While making a move on Ketcham for his current transgressions, McNally and the others learn that Ketcham also happens to be the Union soldier that they have been looking for who sold out his comrades and the Union “pay train” just a few months back. With all that’s developed, a showdown is in order and it’s escalated by the fact that Ketcham is captured and held by McNally and his crew, Hendricks and his deputies have them surrounded, and Cordona is being held captive by Hendricks and his cronies. When the “exchange” of prisoners is set to take place, it erupts into a gunfight galore that ends in true John Wayne fashion. Rio Lobo, while entertaining, is a stock Western that managed to generate some genuine action and excitement, as well as some wonderful tension between the “good guys” and the “bad guys”. To top it all off, the whole deal ends up being settled with an Old West style shootout. What more could you ask for?!? The film contained some good performances by all those involved and managed to remain entertaining after many years of having not seen it in any form or fashion. Rio Lobo gets a really nice anamorphic treatment from Paramount in the film’s original theatrical aspect ratio of 1.85:1. The film is in surprisingly great shape and looks pretty grand considering the age of the film and in turn, the master print. Sharpness and detail are right on the money throughout and I never noticed any instances where the film became overtly grainy or soft. Rio Lobo is a great looking film and a great looking DVD as well. Colors were very impressive throughout the film and I never noticed any bleeding or smearing at any time. Everything was properly balanced and saturated and Rio Lobo portrayed the dusty Old West hues quite well. Nighttime scenes displayed nice black levels, without too much muddiness or murkiness to break things up and it allowed for respectable shadow detail and delineation. Flaws with the film were relegated to the occasional print flake and fleck, but with that being said, there weren’t nearly as many as I expected to see. Grain popped up in small amounts at different times during the film, but never caused the image to become overtly soft or fuzzy. Edge enhancement and shimmer were questionable and ultimately, Rio Lobo was in much, much better shape than expected. For a 30+ year old film, Paramount has done quite a nice job with the transfer for Rio Lobo. It’s a very pleasing picture and very impressive work from the fine folks at Paramount. Rio Lobo gets restorative Dolby Digital 5.1 treatment from Paramount that sounds quite nice. Usually, when a film this old gets a 5.1 upgrade from what was more than likely a monaural master, the results aren’t too impressive and viewers usually get a better experience by simply listing to the original mono transfer. Thankfully, that’s not the case with Rio Lobo, as Paramount has really done a quite impressive job with the upgrade to 5.1 surround. All that being said, the track remains very front heavy, without much in the way of immersive effects or moments. Rears kicked in occasion, but were barely noticeable and didn’t really do much to draw you into the film any more so than a really good 2.0 Surround track would. Effects, while dated, sounded natural for the time and there was a nice bit of punch during some of the more action-packed scenes. Everything started and ended from its proper place within the soundstage and all in all, Rio Lobo was a much more pleasing (albeit limited) 5.1 experience than expected. Jerry Goldsmith’s score came through crystal clear and clean throughout the film and Paramount’s 5.1 treatment really seemed to benefit the score more so than any other element. The guitar strings in the opening scroll sounded very rich and full and thankfully, that rich resonance carried over throughout the entire film. Dialogue in Rio Lobo was always front, center, and easily understood and there was never any distortion, hiss, or edginess detected at any time. Paramount has also included a Dolby Digital 2.0 Stereo mix in English, as well as a French Monaural transfer as well. Subtitles have been included in English only. Unfortunately, for the DVD release of Rio Lobo, Paramount has seen fit to include no extras or addendums. This is a straight-up catalog title and unfortunately for fans, there is absolutely nothing included here to supplement the film. Fans of “The Duke” or of the Western genre in general won’t have any problems picking this one up and adding it to their collection – even with the lack of extras on the disc. It’s a good film and a good DVD presentation. However, for those of you unfamiliar with the film or those of you who are only lukewarm to John Wayne’s body of work, there’s admittedly not a whole lot here to endear you to Paramount’s DVD. While Rio Lobo may not be one of the classics in the genre, it definitely serves as close to two-hours of solid entertainment and I can’t think of anyone who couldn’t find something to enjoy about it. However, the DVD comes recommended for fans only.